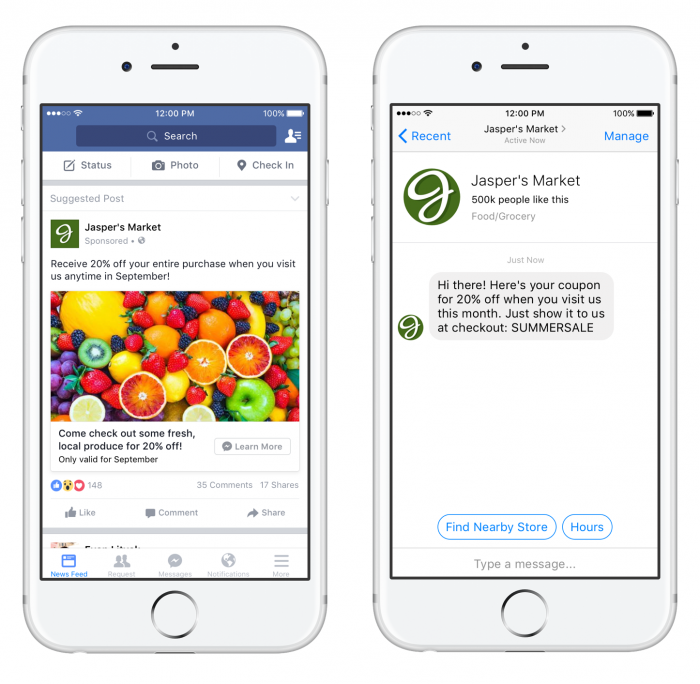 Facebook messenger can help you boost brand awareness and sales. Make it your personal creative playground. Are You Using Facebook Messenger Ads? Most people look at Facebook, as a social platform, a means to stay in touch with their friends and family. Only a few realise that Facebook is a masterpiece of a marketing tool. Marketing on Facebook and advertising your business may take on many different forms. One way is to use Facebook messenger ads. Although a relatively new option, it is something to get excited over. It can grow your business in amazing ways. First of all, it’s important to recognise that any business can take advantage of this advertising opportunity. Big or small business can utilise this, without having someone manning a computer 24/7. Facebook messenger ads may take on a different look and feel, depending on your needs. In some cases, they are going to be regular looking ads that appear in the Facebook newsfeed. When somebody clicks on the ad, it is going to open a Facebook message that re-routes to you or your business. This option can be found in the ads manager of your Facebook login. You can also use a Facebook messenger ad as a sponsored message in the Facebook messenger inbox. It looks identical to receiving a message from a friend on Facebook, but is actually an ad that is part of a campaign. This differs from the one that shows up in the newsfeed in a number of ways. Now the tricky part is making sure the ads reach your target market. The only way that you can specifically target someone with a Facebook ad message is if they have messaged you using Facebook messenger before. Also note that this type of advertising is impression-based, meaning the ad doesn’t have to be opened for you to be charged. But these challenges are dwarfed by Facebook’s potential. Considering more than 1 billion individuals are connected with Facebook messenger, the possibilities are staggering. Millions of views can be generated in minutes, guaranteeing awareness of your brand, with the influx of first-time buyers raring to have a go on your product or service. What’s important is you now have an additional medium to advertise and a new playground for your creative juices. Use this to take your business to the next level. I highly recommend reading 14 Facebook hacks are all you need to take your business to the next level. Are Gmail Sponsored Promotions Right for Your Business?